Hard case bike box. Perfect for keeping your bike safe as you travel. €10 per day or €50 per week. Service charge to put the bike in the box or assemble it from the box is an optional extra. Contact us for booking arrangements. 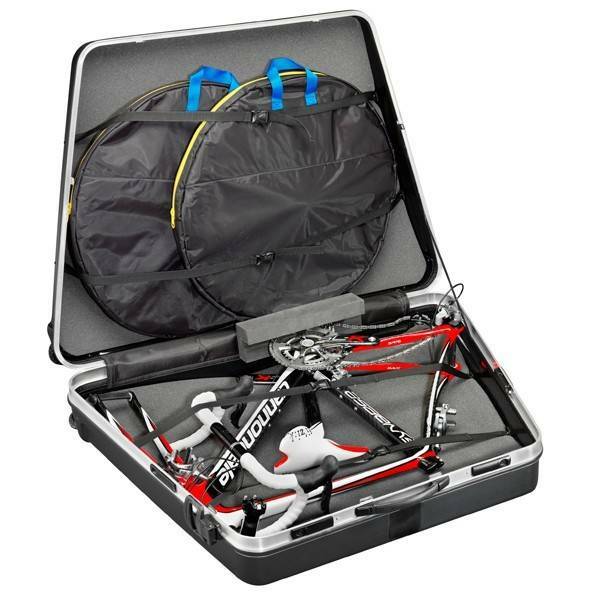 Best selling bike case in Europe. Suitable for racing/road bikes. Not suitable for full suspension mountain bikes. New design with a large strap for extra security and two wheel bags provides excellent protection of your bike. Trapezoidal hardshell case made of strike-proof ABS material. The only bike case you can transport in a station wagon without folding down the back seats.